Dubai: Motorists faced delays on Tuesday after a road leading towards Dubai Investment Park continued to be flooded with water. This is the second day that the road overflowed with water, affecting traffic movement towards Emirates Road. Dubai Police first addressed the incident on Monday night, as they explained that Al Yalayes Road remained closed since earlier that day. 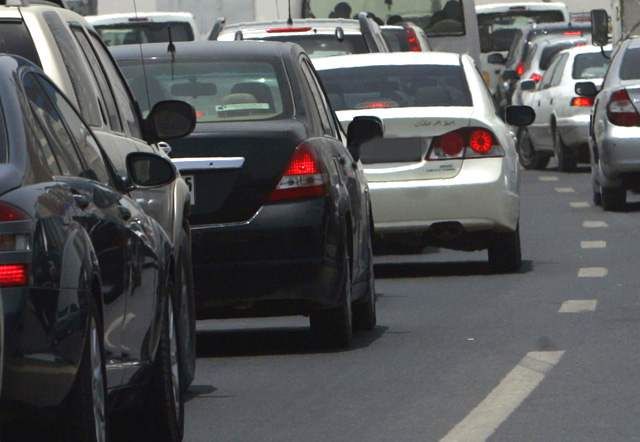 The Roads and Transport Authority (RTA) in Dubai cautioned motorists to use alternative routes, such as Emirates Road, Shaikh Mohammad Bin Zayed Road or Expo Road (previously known as Jebel Ali - Lehbab Road). At around 5.30am, RTA confirmed that they were dealing with the emergency situation and working towards reopening the road as soon as possible. The road authority also thanked motorists for their cooperation and urged drivers to avoid the area and take alternative roads.